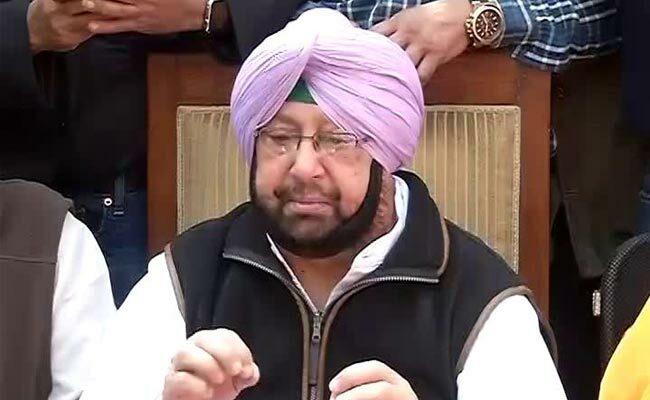 Amarinder Singh is accused of willful omission in providing information to Income Tax department. Ludhiana: A magisterial court in Ludhiana issued a summons to Punjab Chief Minister Amarinder Singh on Monday in an income tax case. Chief Judicial Magistrate Jaapinder Singh has directed Chief Minister Singh to appear in court on July 20. These allegations were made by the I-T department in a criminal complaint filed on Monday before the court. The complaint relates to transactions from 2005 to 2009 when one Jacaranda Trust was created abroad and Mr Singh's son was alleged to have been a settler of the Trust. Mr Singh has been alleged to be the beneficiary. The complaint claimed that several notices were sent by the I-T department to Mr Singh but he was "evasive" in his replies. "The then CM tried to obstruct the functioning of public servant by non-cooperation on one hand and levying baseless and false allegations of malice, arbitrariness and non-application of mind on the officers, which was covered in the purview of section 186 of IPC," said the complaint. "The invalid and improper affidavit filed to query dated March 30, 2016 to avoid answering to the factum of transfer of property P29, Marine Mansions, Dubai & the factum of Jacaranda Trust that he (Amarinder Singh) can't recall the same amounts to false statement made in affidavit which is a punishable offence under section 277 of Income Tax Act and under sections 177, 181, 193 and 199 of IPC," said the complaint.